What's fastest way to get a backpacker annoyed? Try it and see their reaction for yourself. You'll regret the very moment you read this blog post. But what's the big deal? Tourists and travelers are of a different species altogether. They may sometimes look the same. But don't be fooled. They think differently, talk differently and see the world from totally different perspectives! Tourists just read the guidebook and stick to it by the letter. 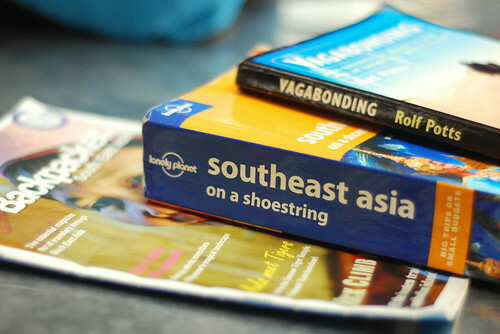 Travelers would often end up leaving the guidebook at home. Or selling it at a 2nd hand bookstore on Khao San Road. True story. Tourists are often seen taking photos of everything and everyone and crossing off items from a list. Travelers can be seen hanging out at the neighborhood cafe chatting up the locals. The barista may even call them by name and they can be taken as locals themselves. They don't care if they haven't taken photos of the museums and nearby statues. Chances are, those will still be around the next day. Or month. They would much rather learn about a country from the people themselves. 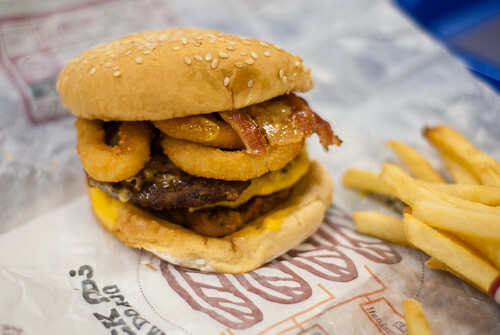 You'll definitely be taken as a tourist if you eat fast food almost everyday. I mean, you didn't fly all the way to that island destination just to have a Big Mac, did you? Travelers are often seen venturing out of their comfort zone. Or anyone else's comfort zone for that matter. They try the strange fare from the streets. Or at least taste something once. You have to remember that a lot of the things you eat at home may be considered strange in other parts of the world too. Make sure you don't miss out. Get some tips from the locals for a good restaurant or eatery. Or simply follow your nose on the streets and pick somewhere that looks interesting! A good crowd usually means good, cheap food. The same goes for accommodation. Tourists often stick to the comforts of a big name hotel. They would only eat hotel food and spend most of their time in the confines of the lobby or pool. There’s nothing worse than checking into a hotel in Bali, walking into your room, and feeling like you could be anywhere back home! Travelers would rather soak in the experience! They would choose to stay in places that exude the culture of the country they're visiting. And the more adventurous travelers? No, you don't just find them in hostels or bed and breakfasts. They want to feel like locals themselves. They rent out places that have been lived in and pre-loved. They want their accommodations to have some character! Because they are characters in awesome adventures themselves. 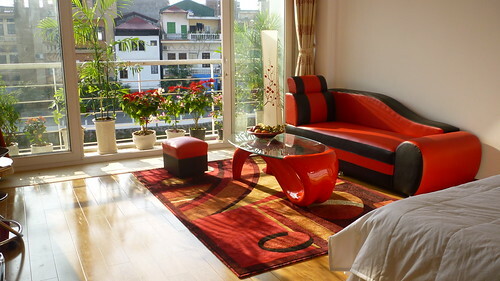 There's no better way for me to feel like a traveler than choosing a Roomorama rental. I've tried it in New York, even in good old Manila. And the experience never fails to amaze me! I not only help out the local economy, but get into the mindset of someone actually living in that city or town. Roomorama gives me a unique travel experience that I can never find anywhere else. It takes me away from the tourist traps and allows me the luxury of letting my guard down as a woman traveler. It gives me a chance to soak in the culture and go local as I walk the off beaten path of a traveler. And that's exactly why I can't wait to try them out again in Malaysia and Indonesia in the coming weeks! I have one last piece of advice for you: Don't be a tourist. Don't just go to a country, take a lot of pictures then leave. Converse with locals. Ask about their lives. Tell them about yours. Go off the beaten path. Leave the guidebook every once in a while. Find unique travel experiences everywhere you go. For more tips on how not to be a tourist, check this out http://hntbat.com/. Tomorrow, Brenna of This Battered Suitcase teaches us How To Dress Like A Local While Traveling. So watch out for that! What about you? Are you a tourist or a traveler? Get a FREE copy of the Sole Sister Guide to Planning an Epic Trip by subscribing to our newsletter. You can also hang out with us online on Twitter,Facebook & Stumble Upon. Sometimes I'm a traveler, sometimes I'm a tourist, sometimes I'm both at the same moment. The distinction between the two doesn't matter to me because I don't believe it should exist in the first place. When I go somewhere, I enjoy it the way I want to, labels be damned. ^ I agree, labels be damned. I think this tourist/traveler labels should be thrown out the window, different strokes for different folks. Ah, what an interesting topic! I did an article on the same subject in our company quarterly newsletter a couple of years back. While what I'd written is quite similar to what your article says, one sentence has stuck to my mind ever since: a traveler sees what he sees, a tourist sees what he has come to see. I agree with you 100% about the tourists who travel thousands of kilometres to a distant, exotic place and never get out of their hotel, eat only Western meals at their hotel restaurant, or at the most got to McD for 'comfort food'. One thing however, I consider myself a traveler, and NOT a tourist. However, is some locations, it's sometimes, note sometimes, worth being a tourist occasionally, by taking a bus tour. But this is more for orientation and to get an idea of distance. After that, I'd always go independently to the locations I like and explore them to death. No wonder everyone says Happy Traveling, and not Happy Touristing! As much as possible I try to travel without borders...and I might as well travel without "labels". Less, we end up manufacturing our travel experiences by being conscious about "labels" and trying hard to imitate the Anthony Bourdains of the world. I've seen "travelers" trying hard to get wasted at Khao San Road, just so they can brag at home that they "drank like crazy" and didn't behaved like "tourists". I wasn't aware labels existed in traveling. Our travel experiences are our own personal journey and something personal should not be labeled. Truth be told, I don't see anything wrong with being a tourist. To each his own, ika nga. We all have our individual travel styles. The funny thing is, it's only the "travellers" who don't want to be labeled as "tourists". I haven't heard of a tourist who doesn't want to be called a "traveller". :) Cheers! Labels be damned! Walang basagan ng trip. 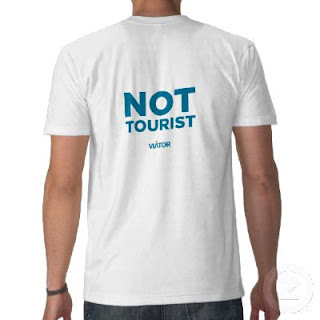 Honestly, I think all this conscious labeling of "traveler, not a tourist" is just elitist crap. I agree with Joan, walang basagan ng trip. Kanya-kanyang experiences lang 'yan. I travel on the cheap mostly because it's all I can afford; I sleep in locals' houses or stay in P200/night hostels, I eat P20 meals in the neighborhood karinderia, I drink Red Horse and Tanduay sa suking tindahan ng mga manginginom. But I also like going around museums and famous landmarks to take lots of pictures. I also crave for a Big Mac or a Chicken Joy every now and then. So screw this traveler vs tourist dichotomy. I travel in my own way and I'm having a blast. And really, whether we're tourists or we claim to be travelers, we are all just visitors and therefore, outsiders, in the places we go to. It's good to try to fit in and adapt to the local culture but sometimes it becomes a matter of bragging rights, just so you can say you're traveling "like a local" (which actually just makes you a pretentious jerk). I think what's more important is to respect the local community and try your best not to be an a$$hole on the road. interesting perspective, but I personally don't believe in the discrimination between tourist and traveler. I think sometimes "travelers" like to pride themselves as not being tourists, but we all fall into the tourist trap sometimes. for example, in the famous tubing destination of van vieng in Laos, I guess most of the young people there would consider themselves travelers not tourists - even though they were just drinking and partying without an ounce of laotian culture to be seen. tourist does hold a slightly negative tone when placed against traveler, but we are all traveling the world as we can, and to me that isthe point. Again, the tourist vs traveler dichotomy. I just hate how travelers condescend towards tourists, as if they have some sort of propriety on the road. Damn those labels. The great affair is to move.